Keep your car road ready by bringing it to European Automotive Center for comprehensive repairs at competitive rates. The ASE-certified technicians at our auto repair shop in Houston work on all makes and models – both foreign and domestic. Most importantly, we provide reliable repairs, affordable prices, and friendly customer services. Come to an auto repair shop where you’re treated like family. Every auto mechanic and staff member at our shop is friendly, experienced, and eager to assist you. As a local shop, we place high value on our community and the customers we serve. We believe you deserve courteous attention and competent services. That’s why we take the time to listen to your concerns as well as explain the repair process so there are never any misunderstandings. Customers have come to trust us for exceptional work, whether they need basic car maintenance or major engine repair. Every mechanic here is highly qualified and fully equipped with dealer-level training to perform dependable repairs. Trust a team of mechanics that is dedicated to providing unparalleled services. Does your car need an oil change? Perhaps it is something more complex. Relax in our comfortable waiting area while we service your car. Certified as Automotive Service Excellence (ASE) technicians – the highest certification in the automotive industry – we ensure a job well done every time. You deserve to have a positive experience when your car needs repairs. From the moment you step through our auto shop doors to the time you drive away in a fully repaired car, we make sure you are fully satisfied with us. Because we are experienced and credentialed, you can always expect excellent service at our shop. We go out of our way to ensure your vehicle needs are completely met. Contact us to discuss your car repair problems with one of our friendly staff members. We proudly serve Houston, Galleria, and River Oaks, Texas, as well as all of southwest Houston. 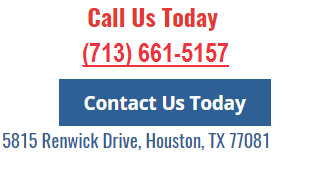 We proudly serve Houston, Galleria, and River Oaks, Texas, as well as all of southwest Houston.